In the heyday of Perpetuum Penitentiary, the prison partnered with the enigmatic Vixi Labs on a new experimental treatment method for its most troublesome inmates. Touting a revolutionary machine that was capable of interfacing with the human brain—the VRX-2000 headset—Vixi Labs helped Perpetuum to establish the new Vixi Ward within the prison. After only a short operating streak, Vixi Ward was officially shutdown for “excessive casualties” incurred during treatment. Yet in spite of this, screams still echo throughout the halls of Vixi Ward, and it’s rumored to continue operations on particularly unruly inmates. 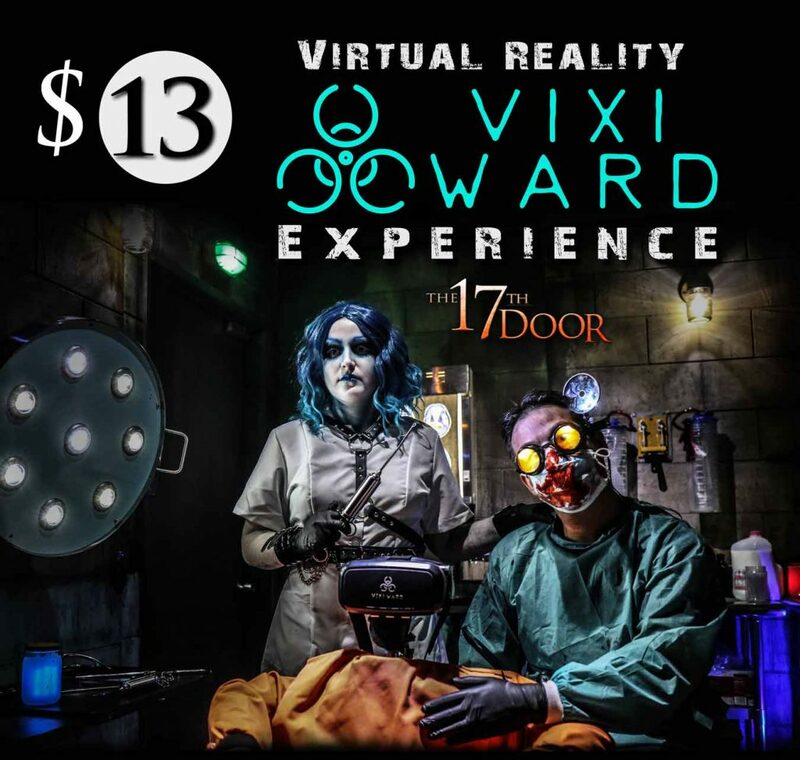 Guests sentenced to Vixi Ward will face a 15 minute immersive experience. Guests must first endure a pre-op procedure to assess their fitness for treatment. They will then don the VRX-2000 headset themselves to begin their virtual reality experience. Once the guests’ treatment concludes, they will then be snuck back into inmate general population using a secret entrance. There, they will begin the 17th Door maze inside Perpetuum. If you purchase the VR Experience online, please make sure to show your receipt at the front counter prior to getting in line.